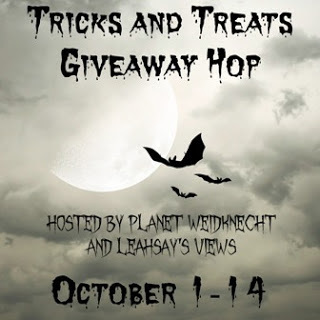 It's been a while but here I am again thanking Planet Weidknecht and LeahSay's Views for putting together and hosting this blog hop! Remember to go visit all the other blogs who are offering some really nice prizes-the clickable list is at the very bottom of this post. No tricks from Miki's Hope this time--I have a TREAT in store for all of you--but only 1 winner in the US will be able to win this prize. Denise Martin, who I have known on the internet for a very long time and like me is also a consultant for Lilla Rose approached me and asked if I would be willing to review and do a giveaway for a company that she recently became a consultant for- Magnabilities Interchangeable Magnetic Jewelry I took a look at the site and realized that this would be the perfect birthday gift for my Mom--so of course I said yes! I have received product to write this review-but the opinions are all my own. The process of picking out and what you want is relatively simple. It is the deciding which of the pendants rings, charms, earrings (to be added soon) or beautiful inserts you want to start with that may take some time! I had Denise help me--she is always there to help out any of her clients! There is a section called Fitting Room where you can design what you think you want and see what it will look like! At any rate this is what the assembled necklace looks like--and I would like to note that I gave it to my Mom early and she has yet to take it off (except at night of course)! You don't necessarily have to buy a chain--these pendants will fit on any chain you already own. I got my Mom the 1" size. They also have those that are 1/2" but the 1/2" ones can not be customized--only the 1" can. If you purchase a 1/2" base jewelry piece then you can only get the 1/2" inserts--if you purchase the 1" base jewelry you can then get either the 1" or the 1/2" inserts. You will have to purchase a Halo if you want a 1/2" insert to go in a 1" base-that will take up the extra space. It was delivered very quickly but--I had to put it together myself--uh oh--and my Mom is going to be 94 and I knew I had to do it. Miracle of miracles, wonder of wonders--I had no trouble at all!! I was able to get the insert off the magnetic piece of paper it was adhered to and managed to place it in the correct direction (according to my Mom) at one try! These magnets are strong-those inserts aren't going anywhere!! And PLEASE NOTE: If you or the person you want to give this to has a Pacemaker--Don't--the magnet will affect the pacemaker! There is an inexpensive handy little tool which you can purchase to help you remove the insert if you want to change to a different one. These magnets are strong! That is the beauty of Magnabilities --you can buy numerous inserts so that your pendant will match any outfit you are going to wear. Click here to see all the different ones. Want it customized with your own pic-they do that too. They also have rings and bracelets and earrings (to be coming soon) and charms. If you click here you will go to the Virtual Catalogue where you can see pictures of the many items they sell. And they also have Monthly specials!!! Hum--a matching set? $50 or more ships free. Would you like to become a consultant for this company--well you can. Just click here to find out how and to learn all about it. Denise is marvelous to work with and will be happy to answer any questions you have. Since this is a new site for Denise it would be appreciated but not required if you would like her FaceBook Page! And don't forget to sign up for her emails where you will be the first to learn about the Monthly Specials, Sales and New Items! It is way down on the left hand side of the page. The winner will be able to pick their pendant up to $20 value and then their insert up to $7.50 value and Denise will send them a twisted satin necklace in black or brown in the length you wish which would be $5 which brings this giveaway to arv of $32.50! And here is the linky so you can go and see and enter all the other giveaways by these great blogs! I have received product to write this review. All opinions expressed are my own honest opinions. For more information please check my Disclosure Statement. Our giveaways are in no way sponsored or promoted by Facebook. Emma Pendant - Hematite is so pretty with the Love Birds insert so pretty. I love the owl pendant and the heart pendant that is on her facebook page. I would like he Bettie pendant in the shape of the gold heart and put the butterfly in as an insert. I like the Emma Pendant. So many good inserts but I noticed the Bible Verse Magnetic Design Insert - Phil. 4:13. I like that verse. These are so cute.What a great idea! Wow so many to choose from! I love the Sand Dollars insert! I think I'd get the large 1" fancy silver bracelet and a few different liners to change for my mood like the pastel triangles, the seashells, and the vintage birdcage. I think I would get the 1" PD1002 elegant circle magnetic pendant in antique silver, I think it is the same one pictured in your photo, I like it because it is simple and I can share it with my teen. For her, any of the purple ones, like purple ombre, purple petals, purple vine would be wonderful. For me, blue agave and blue ray are both nice-and of course the custom photo inserts too. What a pretty necklace. Thanks for the giveaway! I love the owl pendent I collect owl jewelry. I would choose the Bittie Butterfly Pendant with the Frosty - Silver Rim. I like that you can put a photo in the jewelry. I would love to get a pendant with my daughters' pictures in it! I like the butterfly vine. My Mom swears by the bracelets for arthritis.Wonder if this would work,also? These are indeed some gorgeous pieces. I love that you can change the pendants too. I will have to check Magnabilites out for sure. I am glad you mentioned the pace maker to by the way because my mother has one. Thanks for sharing the information and awesome giveaway. I love the one inch pendant with the three of hearts insert. Theses are beautiful pieces. I love this! I'd pick the silver owl pendant and the faith over fears insert. I may choose the PD1091 Cross Bittie Pendant in Gold and the Mom Gold Rim insert. This jewelry is perfect for someone who likes to change up her look with the changing seasons or holidays! Such a clever and cute idea, to be able to change your jewelry to match your mood or outfit! I absolutely love this one Keyhole Magnetic Design Insert. HERE ARE A LOT OF IDEAS. I like the Bali Pendant - Antique Polished Silver and the Love Birds insert. 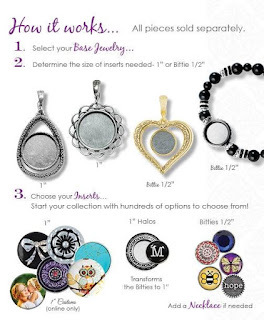 I would get the Bali Pendant with the Pink Moon insert! 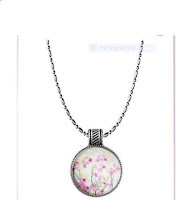 I think I'd like to get the bloom magnetic pendent and the Branch Out Magnetic Design Insert. I like the Gold Swirl Pendant with the Peacock design with gold rim. I'd love the Heart Bittie Pendant - Silver with the Love God or Princess insert. I like the necklace with the purple flower. I like the necklace with this the Gold Cross. I think I would choose the 1" Bali pendant in silver and put a photograph of my deceased Godson in it. I would probably have another just like it made for his mother. Thanks for this wonderful giveaway! I like the Emma Pendant - Hematite with the Stained Glass insert. I would choose the Emma Pendant - Hematite pendant and the Colorful Waves insert. Thanks. 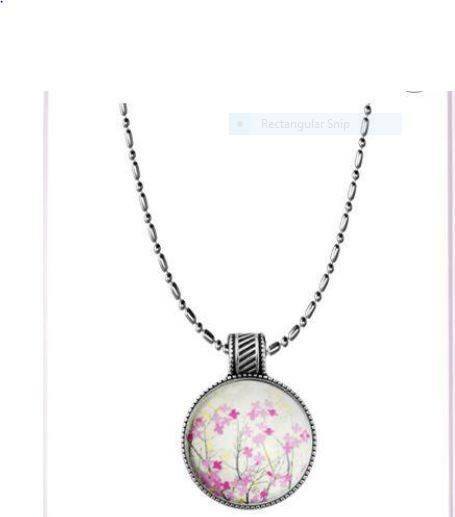 I would love the Bloom Magnet Pendant in Antique Silver and the Petal Pattern insert. Lovely pieces! I would get the 24 Inch Basketweave Chain - Hematite and the Witch's Hat. I like the 18 Inch Mini Mesh Necklace with Shiny Silver and a "Love" insert. If I win, I would be giving this to my sister in-law, so I would let her pick out the perfect necklace. Well I missed it but these are beautiful!! I missed the giveaway, but I love the jewelry! I am sorry I missed this. But i do love the sunflower pendant. I'm bummed I missed the giveaway but looks like really cool jewelry! I love the idea of being able to swap out! This was such a nice giveaway! Hopefully you can hold another one just like it. Sorry I found this contest too late. 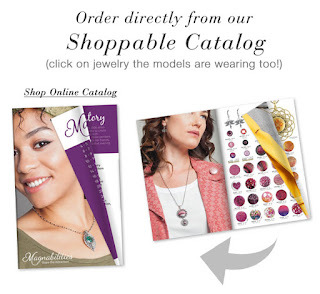 I'm intrigued by these wonderful charms and necklaces! I love the Emma pendant so pretty. All the jewelry is so nice. The jewelry is just gorgeous! They have some pieces I could definitely give as christmas gifts. These pendants are really neat and pretty! I love the inserts! This is a very pretty pendant. They have a lot of pretty jewelry. So fun!! I love that its so versatile and that you can change it out whenever you want!! This is such a nice necklace. I appreciate these, and my sister in-law would love one.